Roslyn Franken is a passionate inspirational speaker, author and proud cancer survivor who knows about the power of positivism and emotional resilience in the face of adversity. Her mother survived the concentration camps of Nazi Europe and her father survived the Nagasaki atomic bomb as a prisoner of war in Japan. At age 56, her mother was diagnosed with Stage IV cancer and with an amazing “Keep Going” attitude lived for 21 years when she was only given two years tops to live. Her father suffered a massive heart attack at age 67 and with his “Never give up” attitude lived till age 94 when he was told he would be lucky if he made it to 82. When diagnosed with cancer at only 29, Roslyn turned to her parents’ positive “Keep going” and “Never Give Up” attitude as inspiration in her fight to beat cancer and become a long-time survivor. At 39, ten years after surviving cancer, and at her heaviest weight, Roslyn had enough. She decided that as a cancer survivor she could not allow herself to continue gaining weight and potentially putting herself at risk of cancer and other often diet, lifestyle and weight-related diseases. How she lost the weight and changed her life is outlined in her easy-to-read and easy-to-follow self-help book, The A List: 9 Guiding Principles for Healthy Eating and Positive Living. In giving presentations about THE A LIST book, Roslyn mentioned her parents’ life as well as her cancer journey that both inspired her path to weight loss and improved self-care. People were so inspired by these brief mentions that they wanted to hear more. And so, Roslyn set to task once again and wrote her second book entitled MEANT TO BE: A TRUE STORY OF MIGHT, MIRACLES AND TRIUMPH OF THE HUMAN SPIRIT. In this book, Roslyn reveals the true story of her parents amazing survival, resilience and triumph as unlikely Holocaust and Atomic bomb survivors who find true love against all odds and overcome life-threatening health issues later in life. She also includes the profound lessons she learned from her parents about survival, resilience and positive mental attitude while fighting to survive cancer at the young age of 29. A documentary was made about her parents’ story and Roslyn’s book, Meant to Be, is currently being adapted for production as a feature film. As a professional inspirational speaker, Roslyn delivers a heartfelt presentation to share highlights from her book, Meant to Be. She speaks for conferences, student events, community events, faith-based / religious events, senior groups, fundraiser / charity events, banquets / galas and other group events. Roslyn is also co-author of Death Can Wait: Stories from Cancer Survivors, a fundraising book for cancer research and cancer patient programs. She has been a guest on numerous television and radio shows and featured in newspapers and magazines across North America and abroad. LISTEN TO INTERVIEW ABOVE UNDER DR FRED PESCATORE POST. raised in Europe, graduated from Munich International High School in Germany, has a degree in Special Education from Keene Teacher’s College in Keene, NH, taught Special Education for 10 years and Psychology at the University of South Florida. 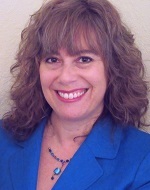 She is a Keynote speaker and presenter on the topics of Health, Healing and Prophetic Dreams. 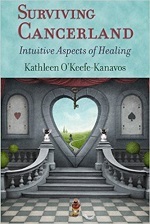 Her International Bestseller Surviving Cancerland message on dreams is lovingly weaved into the topic of her talks. She is the host of Wicked Housewives On Cape Cod™ TV and Radio and host and co-producer of New Earth International Media and The Kat Kanavos Internet TV Show to promote Healing and Dreams. 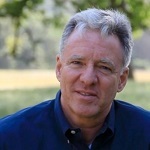 Simon Fox, Executive Director of the Adventures in Caring Foundation,(AiC), is pioneering the education of the heart. He is also co-Author of What Can I Say? A Guide to Visiting Friends and Family Who Are Ill and co-producer of five video-based training programs on compassion,including The Medicine of Compassion and Oxygen for Caregivers. For 30 years AiC has taught the art and practice of compassion—as a skill that restores well-being and promotes healing. Their work is now recognized globally. Adventures in Caring is based in Santa Barbara and despite its small size it is having a big impact. Founded by Simon’s wife, Karen Fox, in 1984, the nonprofit is most famous for its Raggedy Ann and Andy volunteers who visit local nursing homes and hospitals to lift the spirits of patients who are lonely. What is less well known is who is under those wigs, what they discovered, and how far their influence has spread. Many people still think that compassion cannot be taught—considering it a personality trait that’s either there or not. Others think of compassion as a philosophy or a feeling. Under Karen and Simon’s tutelage Adventures in Caring has taken it a step further: compassion as a verb—the practical skill of getting it across to a person who is sick or injured so that they realize that you care and they no longer feel alone. Fox says “That’s when the magic happens—when the other person gets it. That’s when you see their body language change, their vital signs improve, and their outlook become more hopeful.” He says this is the secret of all great nurses, physicians, and health care practitioners—they know the language of healing that lifts the spirits, dispels loneliness, and inspires the will to heal. Under the leadership of Simon Fox, this is what the Adventures in Caring team has decoded and now teaches to undergraduate students from the University of California–Santa Barbara who are studying to become doctors, nurses, and allied health professionals. They learn this art through a one-year service-learning internship. After in-depth training they visit the residents in a nursing home or the patients on a hospital unit on a weekly basis for a school year, practicing the art of listening carefully, taking an interest in lives, not just bodies, and building the emotional maturity to create meaningful connections with those who are suffering. By reflecting in writing on what happened in each interaction, and being coached year-round, the students develop skills that last a lifetime. More than one thousand hospitals, one thousand hospices, two thousand churches, and several hundred nursing schools have used AiC programs. Santa Barbara City College School of Nursing has integrated the entire AiC Cultivating Compassion series into its new Memory Caregiver program that teaches nursing assistants how to built better relationships with patients who have dementia. Visiting Nurse and Hospice Care of Santa Barbara has trained its own team of mentors to teach the Cultivating Compassion program throughout the entire agency, to equip its staff with the most advanced skills for communicating compassion to the sick and dying. Even the American Trauma Society in Washington DC used AiC expertise—to help teach trauma surgeons how to better communicate with the families of trauma victims in those crucial moments when they must deliver news right after surgery. In addition to teaching healthcare providers to be more compassionate, under Simon’s direction, Adventures in Caring created the Oxygen for Caregivers program to protect the health and emotional well-being of health care professionals. According to Simon, deteriorating health of the people who work in health care is a growing problem throughout the world—they are in poorer health than most other occupations. He shares one of the more startling facts, nursing assistants are more likely to be injured on the job than construction workers. Nurses are more likely to experience on-the-job violence than all other professions. Doctors too are affected: more than one in three physicians may be clinically depressed, and surgeons think of suicide as much as three times more often than the general population. Many trauma workers and social workers are physically assaulted at work, and those who work in palliative care have higher stress scores than patients newly diagnosed with breast cancer. Oxygen for Caregivers: Guarding Against Burnout, Sustaining Compassion, has been adopted by the international group of nurse educators, ELNEC (End-of-Life Nursing Education Consortium) who deliver programs in 80 countries. The AiC Oxygen for Caregivers is now a key part of the ELNEC train-the-trainer summits and so far has been presented in the U.S., China, Kenya, and Romania. “These resources are beautifully created to remind us of the importance of self-care” said Pam Malloy, ELNEC Director. Dr Francisco Contreras (Integrative Cancer) and Vincent Crewe (Cancer Survivor) Current Guests. My second guest, Vincent Crewe lives in Wakefield, West Yorkshire which is in the North of England. He left school at 15 and has done many jobs in his working life including shop assistant, long distance driver and driving instructor. He started several businesses some have been successful and some not He is very competitive and received his Black Belt in Tae Kwon Do when he was 28 after a few years of hard training. He has been a Mortgage broker for the past 22 years and recently started another business with LED Lighting. He has a keen interest in the Paranormal, Ufology and spiritual matter. He has been married twice and has 3 Children, 2 daughters and a son. He is a stage 4 colon cancer survivor who used natural alternative interventions. 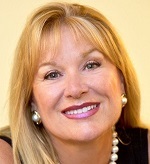 Dr Anne Marie Evers is a Best Selling Author of many books on the power of Affirmations. She is an Ordained Minister and Doctor of Divinity and is co-author of Wake Up and Live the Life you Love in Spirit with Dr. Deepak Chopra and Dr. Wayne Dyer. Dr. Evers is an International Motivational Speaker and Talk Show Host. Her latest book, Affirmations Your Passport to Happiness is in its 6th printing. She has created the popular Cards of Life. Dr Ann Marie Evers has been teaching the power of affirmations and helping people for many years. She believes that Affirmations When Properly Done Always Work! Ann Fonfa was diagnosed with( breast) cancer in January 1993. She explored alternative therapies and started a study group in New York City. From summaries of the 60 or so meetings this group held, Ann posted a website in June 1999 under the name The Annie Appleseed Project. It is now a 501(c)3 nonprofit corporation serving 90,000 people monthly via the Internet. Ann has attended several hundred scientific, medical, research and advocacy meetings since 1995. She and other volunteers gather information and it is disseminated via the website and talks that Ann gives around the country. 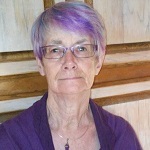 Ann’s been featured in magazines, interviewed on the radio and TV, and is the author of one published paper “Patient Perspectives: Barriers to Complementary and Alternative Medicine Therapies Create Problems for Patients and Survivors”, Integrative Cancer Therapies 6(3); 2007 pp.297-300, as well as numerous articles. She’s presented at many meetings around the US and abroad, including Canada, India (2006) and Brazil (2007) and Japan (2010), Greece (2011), (Spain and Portugal 2011). She speaks out, speaks up and speaks about the issues people with any type of cancer really care about. As an independent advocate (63% of Annie Appleseed Project funds come directly from donations of $100 or less), Ann has the ability to say things most people can or will not say. She’s raised questions about the environment, drug approvals, LGBT issues, research methodologies and much more. She served on many panels and is Florida Field Coordinator for the National Breast Cancer, a member of the Society for Integrative Oncology, was on Susan G. Komen for the Cure LGBT National Advisory Council, etc. Ann is a 2004 graduate of Food as Medicine and CancerGuides. She is the Consumer advocate on the Adverse Effects Methods Group, Cochrane Collaboration, and a member of CUE – Consumers United for Evidence-based Healthcare, reviewing monthly. Ann served with a panel examining Comparative Effectiveness Research for Complementary/Integrative Medicine, and was invited to the Patient Advocate Forum in October 2010 to discuss clinical trial issues. Ann recently reviewed for PCORI – Patient-Centered Outcomes Research Institute. Ann speaks to various cancer groups including ovarian, prostate, mesothelioma, lung, breast and others. She finds valuable natural strategies for everyone at every stage of disease. The Annie Appleseed Project will host it 8th Annual Evidence-based Complementary & Alternative Cancer educational conference in March 2014 in West Palm Beach, FL. The group also cosponsors one-day educational seminars around the country.